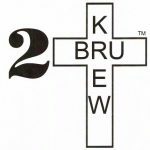 The authors known as “2-BRU KREW” are 2 Brus called “Mista Bear” and “O.G. Fox”; who both have Ph.D.’s in the School of Hard Knocks. They paid their dues with inner-strength and heart; and express themselves through the literary arts. They have experience in all sorts of entertainment; from Vegas to the Old-School South they’ve beaten the pavement. Mista Bear came straight outta the west from a little place called “O-Town”; where gats were invented by a genius called Brown. O.G. Fox rolled outta So-Cal, home of the Mouse; and grew up in the 60-Deuce where he brought down the house. The 2-Bru Krew have traveled the world and seen the sights; lost some loves and won some fights. They faced hard times and overwhelming odds; but always stuck together, with the Lord as their staff and rod. Side by side they fought hard and always stayed strong; put their lives to literature making books their song. They write to excite not to be conversational; some call them controversial others call them sensational. They write about the truth even if the truth don’t flatter; because in the end the truth is all that matters. The 2-Bru Krew invites you into the supernatural world of “KOG” if you dare; but before you jump in, you best beware. ‘Cause the truth awaits those brave enough to open their eyes; embrace your fears and cast out all lies. And if you’re too naive to come take a look; then just stick to your “tween” fantasy romance books. And before you try to judge or start to hate; come walk in the shadows with the Keepers of the Gate.